Non-payment of rent is a significant issue for landlords. When tenants don’t pay their rent on time, a landlord must learn about and exercise his rights over the property and, unfortunately, this can cause things to get messy. Handle a tenant that doesn’t pay with the help of an experienced landlord-tenant attorney. Your lease likely has a grace period written into it, which is generally a few days after the formal due date of rent. If your tenant does not pay their rent by the end of the grace period, it is critical that you issue a late rent notice immediately. 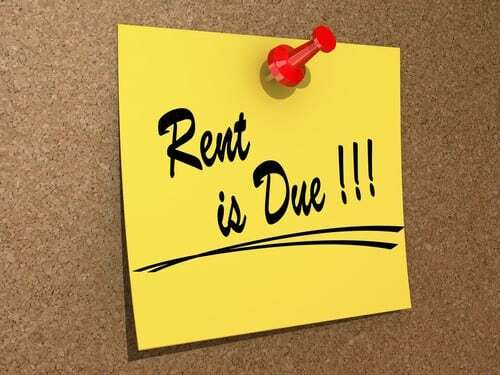 Your late rent notice should inform your tenant of late fees that they have incurred, as well as what actions you will take if the rent is not be paid within a certain time frame. For example, your late rent notice may state that if the rent isn’t paid by a certain date, the account will automatically go to your attorney’s office. If your tenant still has not paid, it is a good idea to touch base with them via a phone call. During the call, you can remind them that late fees will continue to accrue the longer rent remains unpaid, and you can reiterate that the account will go to your attorney’s office by the date mentioned on the late rent notice. If rent remains unpaid, you can send a pre-eviction warning from your attorney’s office. Let your tenant know that you will be commencing with eviction proceedings on a certain date, and that they are responsible for all eviction and legal costs. At this point, if your tenant has not paid his or her rent, you’ll need to go forward with an eviction. Your attorney is an invaluable resource at this time and will guide you through the process of evicting your tenant properly under Michigan law. While you do have rights as a landlord who has not been paid by your tenant, your tenant also does have some rights in an eviction scenario. Your attorney will help you move forward with a solid understanding of both. At Piper Legal, we assist landlords every day with the various issues that crop up when renting a property. Contact us today for a consultation at (810) 235-2558.